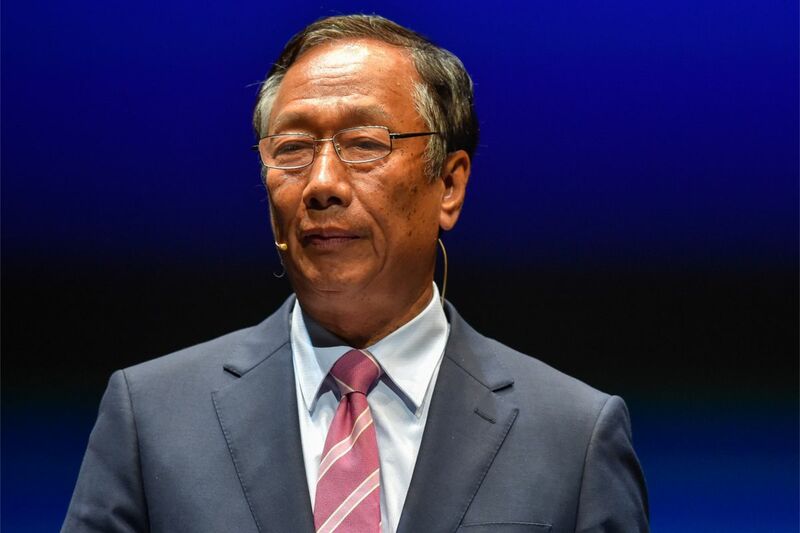 The big picture: After 45 years at the helm, Foxconn founder and Chairman Terry Gou is finally ready to hand the reins over to a younger generation. The 68-year-old owns 9.4 percent of Foxconn and is the richest person in Taiwan with a net worth of $7.6 billion, a fortune that'll ensure a comfortable lifestyle in his golden years. Gou started Hon Hai Precision Industry Co., Ltd., better known as Foxconn, in 1974 and initially made plastic parts for televisions. Today, Foxconn is the largest private employer in Taiwan and the world’s biggest contract manufacturer. The company assembles products for Apple, Microsoft and Sony, among other tech giants. Foxconn’s founder is the latest in a growing list of top-level executives to announce retirement plans in recent memory. Last September, Alibaba Group co-founder Jack Ma said he aims to do so later this year. Taiwan Semiconductor Manufacturing Company (TSMC) founder Morris Chang retired last June. Gou intends to discuss his plans with Foxconn’s board and reveal definitive plans to shareholders in June. Lead image courtesy Koki Nagahama, Getty Images.